Fortress Of Freedom Board :: View topic - IAIJ Side Event to be Webcast! IAIJ Side Event to be Webcast! 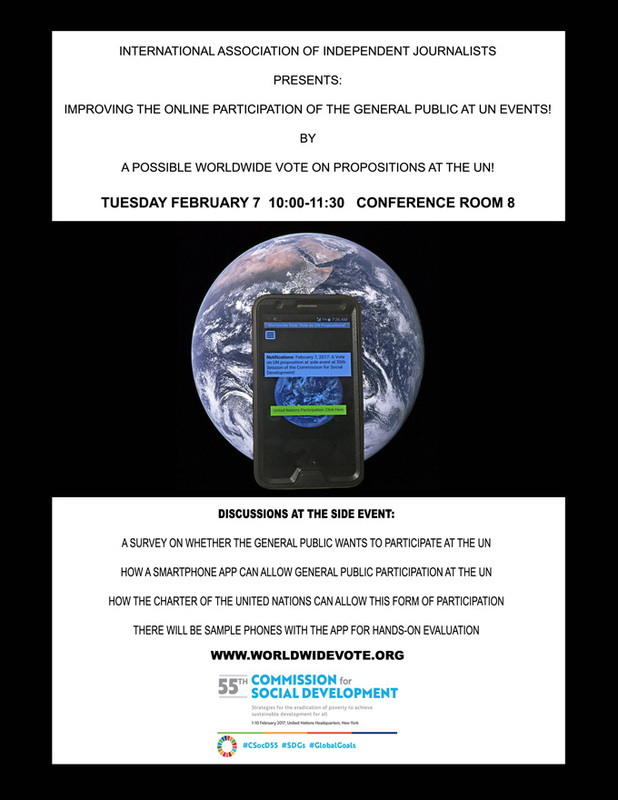 Posted: Fri Jan 27, 2017 7:21 am Post subject: IAIJ Side Event to be Webcast! We will update you on more of the specifics as we draw nearer to the event! IAIJ: JOURNALISTS IN ACTION AROUND THE WORLD!